The October jobs report was solid. The headline nonfarm payroll gains came in at 214,000 against expectations for 235,000, but the unemployment rate fell to 5.8% and we saw a new record streak of positive payroll gains, as October marked the 49th-straight month of gains, the most since at least the 1930s. 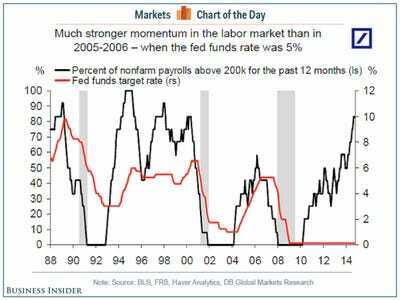 Additionally, we are now inside the longest streak for payroll gains over 200,000 since a 19-month streak in the early 90s. Labour market momentum, measured as a per cent of months within the last year that saw payrolls climb by more than 200,000, is now at levels not seen 2000. In the wake of the Federal Reserve ending its QE program, the countdown is now on for the Fed to begin raising interest rates. 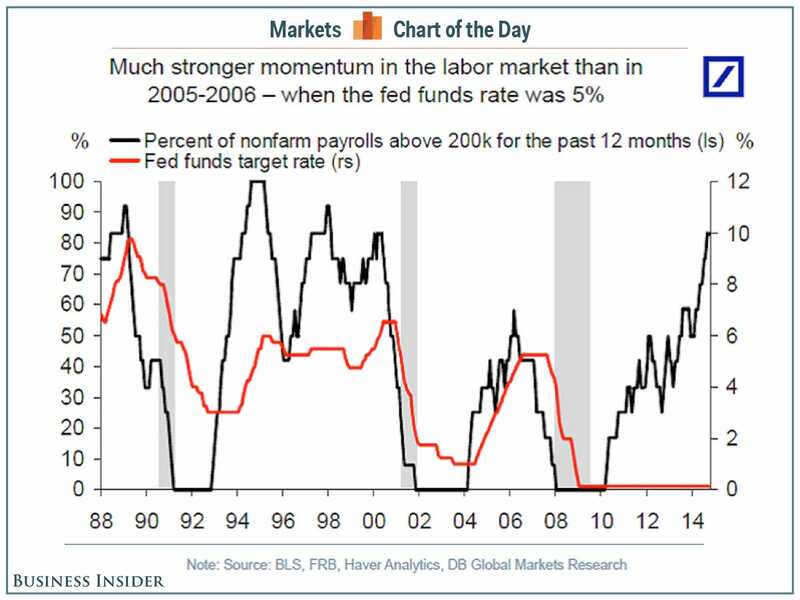 And while the Fed might be waiting for wage growth — which was still subdued in Friday’s report — to meaningfully pick up, there is undeniable momentum in the labour market.